Arrived to Brazil Safe and Sound! Sister Butler arrived safe and sound to the Brazil Missionary Training Center, YAY! 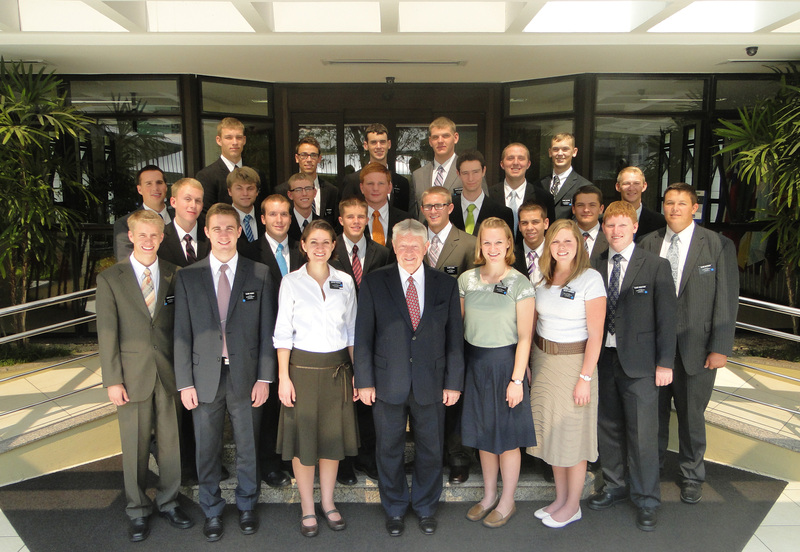 Here is the email that was sent to Mom and Dad to let them know she has arrived and the picture of her with the group of missionaries she arrived with. She looks GREAT! We are happy to send the good news that your missionary has arrived safely at the Brazil MTC. What a great joy and privilege it is to greet each missionary as they come through the front door of the MTC for the first time. We promise to take good care of your missionary. They now have companions and are settled into their rooms. They are assigned to a district with capable and caring instructors for language and lesson study. The branch presidents and their wives, will soon give them a second greeting. These couples are rewarded in their callings through the love they always develop as they embrace and watch over the missionaries. The MTC has a full time live-in physician to care for their health needs. He is assisted by his able wife. We are also happy to report that the Cafeteria food is abundant and very good. Your missionary will be able to e-mail home on Preparation Day after a morning at the Temple. This will be either Tuesday or Wednesday, depending on individual assignments. Your very important young person is about to make an eternal difference in the lives of others. We hope you will be encouraged and comforted by this quote by President Lorenzo Snow: “ There is no mortal man that is as interested in the success of an Elder when he is preaching the Gospel as is the Lord who sent him to preach to the people who are the Lord’s children”. DO not send packages to the Brazil Missionary Training Center.All packages must be sent directly to the mission where your missionary will be serving, not the MTC.If you have already mailed a package to the Brazil MTC and it arrives after your missionary has left for the field, please understand that the package cannot be forwarded to his or her mission and will be returned to you. WE Strongly eNCOURAGE sENDING HAND WRITTEN LETTERS. Please write your missionary´s first and last name. Your missionary will provide you with his district and box number. Also, please DO NOT SEND ANYTHING BY FEDEX, DHL, UPS, or other private carriers. The cost to get this type of correspondence is exorbitant. IT IS NOT NECESSARY TO REPLY TO THIS EMAIL.